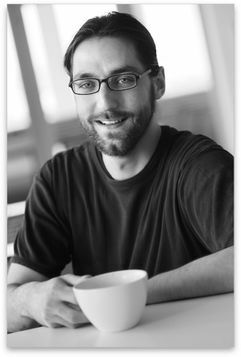 Tobias Hirsch is responsible for the network administration of the Quality and Usability Lab (QU) and doing research in the areas of privacy, security and usability. He studied Communication Science, Lighting Engineering, Acoustical Engineering at the Technische Universität Berlin and began his work at the QU chair in January 2011 after recieving his Magister (Master) degree in December 2010. His thesis "New Multimodal Interaction Techniques for Mobile Devices" resulted in an application which uses a magnet and an iPhone to control a set of musical instruments. Möller, S., Hirsch, T., Kirschnick, N., Sieger, H. and Meyer, J. (2017). Nutzerzentriertes Security & Privacy Engineering mittels Verhaltenssimulationen. Deutsche Telekom Laboratories, 1–5. Lo Iacono, L., Viet Nguyen, H., Hirsch, T., Baiers, M. and Möller, S. (2014). UI-Dressing to Detect Phishing. Proc. 6th Int. Symposium on Cyberspace Safety and Security (CSS 2014). IEEE, 759–766. Hirsch, T., Lo Iacono, L. and Wechsung, I. (2012). How much Network Security must be Visible in Web Browsers?. 9th International Conference, TrustBus: Trust, Privacy and Security in Digital Business. Springer Berlin, 1 – 16. Möller, S., Hirsch, T., Kirschnick, N., Sieger, H. and Meyer, J. (2011). Nutzerzentriertes Security & Privacy Engineering mittels Verhaltenssimulationen. Security for Society: Berlin Views. Springer, 6. Möller, S., Hirsch, T., Kirschnick, N., Sieger, H. and Meyer, J. (2011). Nutzerzentriertes Security & Privacy Engineering mittels Verhaltenssimulationen. Security for Society: Berlin Views J. Krüger, J.-P. Seifert, L. Hempel, eds. Springer, DE-Berlin, 6.